Strategic Planning Workshop – Key to your Success! As many of you who have been following my blog would know, I am a big believer in business’ holding an annual 2 day strategic planning workshop with key employees. When I first suggest this to business owners they resist; citing the cost, the time wasted, or that they don’t need to plan their strategy. As I continue to work alongside them in the analysis phase of my audit I often find the reality to be very different. Employees and even senior managers struggle to make decisions as they are unsure of the company vision, it’s long term goal. If there was a one page strategic plan in place with clear priorities for each quarter these decisions would look after themselves as employees would simply evaluate whether their action was going to bring the company closer to achieving its goal or hamper it’s success. One of the more popular plans which can also be used to set the agenda for your workshop is Verne Harnish‘s “Mastering the Rockefeller Habits“. I have facilitated several times using Verne’s One Page Plan and those companies then went on to implement the quarterly and annual priorities formed during these workshops to achieve substantial growth. Ok, so I’ve got you interested enough to give it a try? Good, now let’s do it justice! First of all, decide on who should be present then give them enough time to be prepared. Give them the agenda, a sample one page plan and a general outline of what you want to achieve over the 2 days. 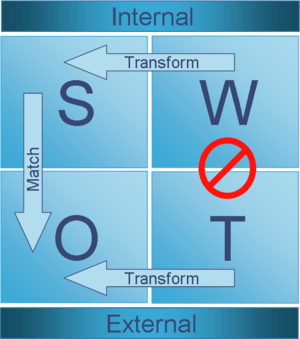 It would be a good idea to have each team member do a SWOT analysis on the company from their perspective in advance (sometimes allowing anonymity gets better results as employees aren’t afraid of retribution). On the day have each person give a brief introduction of themselves and their role in the business; this itself can be an eye-opener. Then give an overview of how the 2 days will be broken down beginning with an open discussion about where your team currently sees the business, analysis of the swot results and how they compare to this discussion. I would suggest forming teams of four made up of people from different departments. This discussion should then flow into where you see the company going, the markets it will compete in and your share of it. Then work out where the business wants to be in 3 to 5 years. Okay, with this vision its time to determine what needs to be done and by who in say the next 8 quarters for this team to achieve the goal that they have just committed to. Prioritize these goals in your One Page Plan. On day 2 work on the practicalities of achieving these priorities; what resources are required and how are they funded? Ensure that the budget for the coming 8 quarters is aligned with the vision. Then determine the KPIs & who is accountable for each. How will they be measured and what frequency? I would suggest a weekly snapshot to be analysed by the team and action taken to correct as necessary. Better still, use your daily departmental meeting to analyse live data. Close the workshop on a high note, thank the team for their input & congratulate them on delivering a great strategic plan. Now over to you & your team to make it happen! I can assure you it’s worth the effort! Oh, and one last thing! Don’t keep the One Page Plan a secret, instead shout it from the rooftops, post it in the canteen & in each department, have each team leader share their experience of the strategic planning workshop with their team. Once the final version of the plan is published have the team leaders walk their team through the plan, encourage questions, ask for input. Get the whole company involved! This will significantly increase your chance of success. Previous Post So why are most employees disengaged?